Rookie Jordan Binnington made 31 saves and came up big in the shootout, as the St. Louis Blues snapped the Boston Bruins' seven-game winning streak with a 2-1 home victory on Saturday. 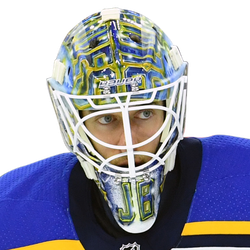 Binnington improved to 6-0-0 as a starter at home, thanks to several key saves, and fellow rookie Sammy Blais scored the winner in the sixth round of the shootout for the Blues, who bounced back after their club-record 11-game winning streak ended with a 5-2 loss at Dallas on Thursday. Despite the Bruins' winning run coming to an end, they extended their overall point streak to 13 games (9-0-4). 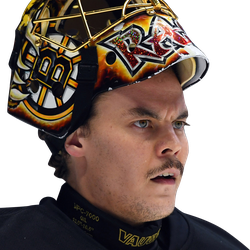 Tuukka Rask made 28 saves as his six-game winning streak ended. In a matchup of two of the hottest teams in the NHL, three periods and overtime were not enough to determine the outcome. It was Boston's third consecutive game that was decided beyond regulation. The Blues opened the scoring 7:15 into the first period off a Boston turnover. Alexander Steen blasted home a nifty pass from Oskar Sundqvist to snap a 26-game goal drought for his seventh of the season. Steen's previous goal came on Nov. 30 at Colorado. St. Louis nearly increased its lead at the end of the first as Vladimir Tarasenko hit the crossbar just before the horn sounded. It was the first time in six games that Boston trailed after one period. The Bruins equalized 5:12 into the second, when a wide-open Chris Wagner took a cross-slot pass from Kevan Miller to beat Binnington on the glove side. Wagner, who had a goal with an assist during a 5-2 home win over St. Louis on Jan. 17, scored three of his career-high nine goals on Boston's five-game road swing, which ended Saturday. St. Louis forward Brayden Schenn missed a second consecutive game with an upper-body injury, and is expected to also be out Sunday at Minnesota. Schenn is third on the team with 39 points, and has 15 in his last 14 contests.